Welcome to the 21th issue of Tourism Around Europe, a quarterly newsletter for competitive and sustainable tourism. The Summer School in Leadership and Governance for Sustainable Tourism is back for its 5th anniversary, and will for the first time be hosted in a national park—Sila National Park—at the heart of the Mediterranean Sea. Leadership and Governance for Sustainable Tourism is a 3-day High Level event, co-organized by the Foundation for European Sustainable Tourism (FEST) and the European Travel Commission (ETC) to address one of the most important themes in the tourism industry: how to plan and deliver transformative tourism projects and initiatives to generate a sustainable visitor economy. The 2017 topic is overtourism. For this issue, I had the pleasure to interview Roger Goodacre, Chairman of the Tourism Society Consultants Network (UK), and Roger will also be one of the speakers at the PM4SD Summer School in Sila. SMARTOUR, Village Nature and Next Tourism Generation Alliance are the three projects highlighted in this issue. Don't miss the opportunity to apply to some of the tourism awards to showcase your best practises. I am also very proud to announce two new PM4SD partnerships, one with the BlueCommunity in Florida and one with TrainingAid. Through the partnership with the BlueCommunity, we delivered for the first time PM4SD in the USA in August 2017. Working with our partners at TrainingAID, PM4SD Foundation and Practitioners Courses will be launched in 2018. In the coming months, besides the Summer School, you will have the opportunity to join many EU tourism events: the High Level Parliament Conference, the EU Tourism Forum, the European Tourism Day, the Necstour High Level Conference. Don’t forget to check the agenda! I hope you enjoy reading this issue, and certainly hope to see you all at the PM4SD Summer/Fall School. «Tourism Around Europe» is a quarterly newsletter for competitive tourism in Europe. Our aim is to disseminate European tourism policies and practices. We wish to encourage the exchange of knowledge regarding European tourism themes, actions and challenges. Each issue includes a conversation with influential leaders and thinkers within the sector. 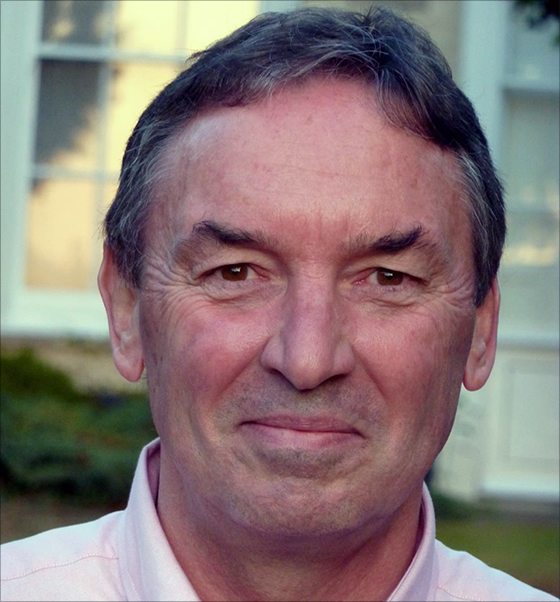 For this issue I had the pleasure to interview Roger Goodacre, tourism development consultant and Chairman of the Tourism Society Consultants Network (UK). Roger will be also one of the speaker at the Summer School in Sila. “Managing capacity at key attractions in emerging markets: contrasting strategies in Rwanda and Uganda”, will be his speech. SB: What is the main scope of the Tourism Consultants Network? RG: TCN was established in 1989 as a section of The Tourism Society and is now the biggest association of qualified tourism consultants in Europe, with more than 110 members (see tcn.tourismsociety.org). All our members must agree to abide by our code of professional ethics, the Declaration of Good Practice. Since I was elected Chairman in 2012, we’ve significantly expanded the scope of activities and services we offer to our members. These include a regular programme of events, including an annual discussion-meeting held at WTM in partnership with UNWTO. In recent years, we’ve organised highly-rewarding visits to Brussels to meet the key EU institutions involved in tourism and the ETC, and to Madrid to better understand how UNWTO operates. We lobby the UK government on important issues such as procurement legislation, and regularly circulate details of consultancy opportunities to our members. SB: What are the most dynamic or innovative destinations you have worked with? RG: I work mostly in emerging markets (in Africa, Asia, eastern Europe, Middle East, Mediterranean etc), where the key priorities for stimulating development tend to be multiple – from policy, strategic planning and regulation, to skills training, positioning and marketing, and product investment and diversification. In this context, it has been encouraging to see destinations such as Rwanda and Uganda follow the prescriptions of the Master Plans that they commissioned (thanks to high-level government support) and begin to get results through product diversification and targeted investment in marketing. I admire the success of small remote destinations such as New Zealand, one of very few countries to have developed a lucid and cost-effective brand image, who understand how to manage tourism so that it brings economic and social benefits to the widest possible community. Data for 2017 to date point to yet another good year for European tourism. Growth in Iceland shows no sign of slowing with growth of 55.7%. It has been the top performing European growth destination since 2012 and early indications for 2017 point to another year of rapid expansion. Growth has averaged over 25% per annum over the past five years and was 40% in 2016. However, a slowdown is still expected in the medium term as accommodation capacity and other tourism infrastructure constraints begin to bite. Malta and Cyprus also enjoyed a strong start to the year with arrivals growth of 22.9% and 17.6% in the first months of the year. In both those cases, 2016 growth was in double-digit territory and this momentum has carried through into 2017. For destinations with a high dependency on peak summer demand, growth outside this period is indicative of a welcome reduction in seasonality. Growth in both destinations was broad-based in terms of source market mix. Finland has so far enjoyed strong growth from a range of source markets, but there have been especially large increases in Chinese arrivals relative to the comparable period in 2016. 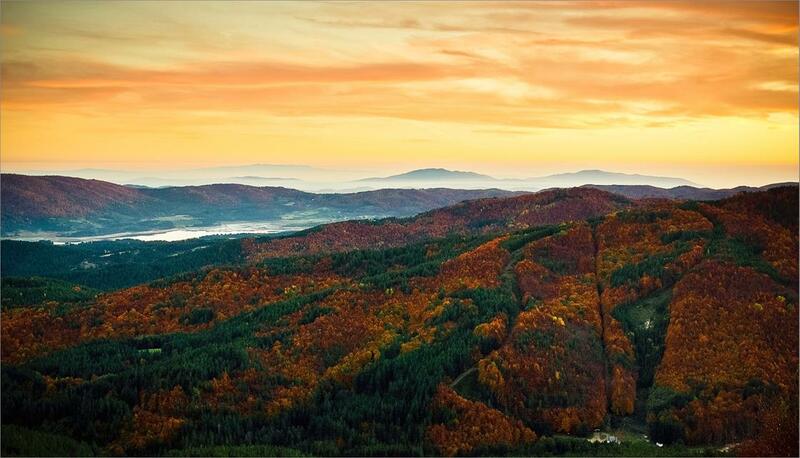 A similarly large influx in Chinese visitors was also reported in Estonia and both destinations may be benefiting from an increase in tours from long-haul markets. Turkey started 2017 following the same downward spiral that began in 2015. Download the European Travel Commission Quarterly Report. Constituting the third-largest economic activity in the EU, tourism is of considerable importance as a source of economic growth, regional development and employment. Although it has been badly affected by the economic crisis in the past years, tourism has proved resilient, as witnessed by the growing number of visitors to the EU over the years. Nonetheless, the industry is faced with a number of challenges and mounting competition, sustainability is one of the key priority to address. European Parliament briefing here. The 2017 edition of 'Smarter, greener, more inclusive? — Indicators to support the Europe 2020 strategy' continues the series of Eurostat flagship publications supporting the Europe 2020 strategy by monitoring progress towards the targets and goals defined under the three mutually reinforcing priorities of smart, sustainable and inclusive growth. The analysis is based on the Europe 2020 headline indicators chosen to monitor progress towards the strategy’s targets. Other indicators focusing on specific subgroups of society or on related contextual issues are also used to deepen the analysis and present a broader picture. The data used mainly come from official statistics produced by the European Statistical System and disseminated by Eurostat. It covers the period from 2002 or 2008 up to the most recent year for which data are available (2015 or 2016). Free download here. With both visitor and resident numbers growing fast in many cities, the tourism carrying capacity of the city is getting more and more attention. Tourism managers understand that focusing on the principles of sustainable development in tourism activities will help them to preserve or create tourism cities where tourist and residents can live in harmony. This study, and the applied model, looks at one of the aspects of the carrying capacity of the sustainable tourism city: the residents’ attitudes towards tourism. The study tests the Resident Empowerment through Tourism Scale (RETS), in a European heritage city: Bruges, Flanders. The results in Bruges, as in the original US study, imply the consideration for tourism managers to include in their actions these elements that empower citizens, in order to boost the support for tourism. The more residents feel empowered (are proud, feel connected, feel they have a voice and they can participate in policy making and planning), the less they see negative impacts from tourism activities, the more they see positive impacts, the more they support tourism. And as a consequence the more they might have a positive effect on tourism development. Tourism managers should understand that working on residents’ psychological, social and political empowerment will have a positive effect on their attitudes towards tourism. Since this model is composed of an easy and ready to use set of statements, we advise Destination Management Organizations to apply the same model to enhance benchmarking possibilities. SMARTOUR ( Sustainable Manager in Tourism Sector) project wants to define the profile of the Sustainable Tourism Manager, as a qualified professional that can contribute to the economic, environmental and social development of the community where the organisation is located. Through the Smartour Platform it is possible to access to 10 free training modules: smartour.dcnet.eu: Accessibility, Sustainable Supply Chains, Sustainable Food and Drink Tourism, Social Media and Marketing, Seasonality, Quality, Training , EU Quality Principles , Energy Controls , Interpreting Energy Bills, Indoor Air Quality. Each unit last between 30 mins and 1 hour. A simple test is available at the end of each module. Follow the 3 steps: 1. Register: smartour.dcnet.eu 2. Select and take up to 10 Smart modules. 3. Take the test and get your certificate. I will moderate a free webinar “Practical Training for Sustainable Tourism” the 21st of September, you can register for free and know more about SMARTOUR. The Next Tourism Generation Alliance (NTG) is a four year project just funded by the European Commision. offer concrete, innovative skills solutions. It will focus on the skills gaps in digital, green and social skills and in specialist sub-sectors ie Destination Management, Blue Economy Tourism, Heritage Interpretation, Gastronomy and the Collaborative Economy. Flexible learning and training methods will enhance skills responses and provision to ensure a competitive, sustainable, contemporary and authentic visitor experience. . The consortium, led by Federturismo Confindustria, comprises: 7 Tourism Sector Representatives (UnionCamere; Eurogites; IHK Academy Chamber of Commerce; Federturismo Confidutria; People 1st; VIMOS; CEHAT); 6 Universities (Dublin Institute of Technology, University of Sopron, Cardiff Metropolitan University, Alicante University, NHTV Breda Applied Sciences University, Varna University) and ATLAS-Europe, the Association of Tourism Lecturers and Students in Tourism in Europe. All Stakeholders including businesses, employees, students, trade associations, local and regional authorities will be tasked with dissemination and integration. For more information drop me an email, the project is at its initiation stage. Villages Nature Paris, a joint venture between Pierre et Vacances and Euro Disney Paris. A new holiday park concept devised by Disney and French resort operator Pierre & Vacances promises to set new standards in sustainability. 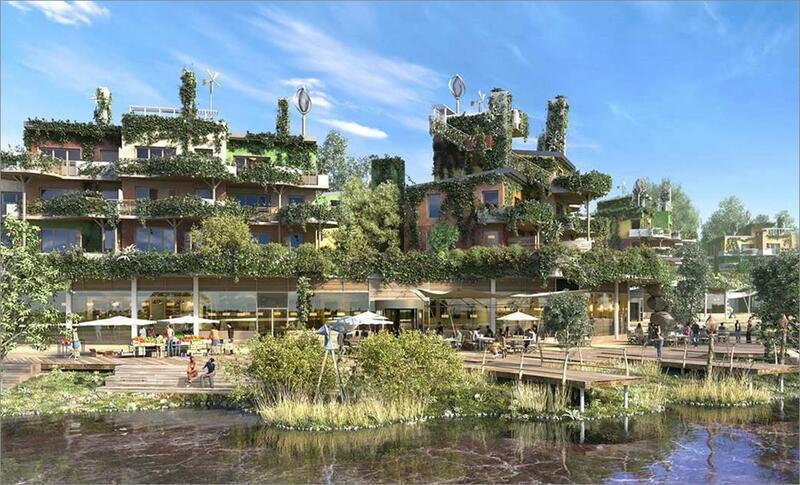 Villages Nature Paris, located just 20 miles east of Paris and four miles from Disneyland Paris, has been described as a “next‑generation” sustainable tourism destination. When operating at full capacity it will cater for up to one million visitors a year. Behind the concept is British expertise in sustainability in the form of Bioregional, a specialist consultancy headquartered in Wallington, London. It has worked with Villages Nature to devise a ‘One Planet Living’ action plan setting out the principles by which the resort has been constructed and will operate. Last May together with my friend and colleague Dave Randle we had a unique opportunity to visit the site. We were welcomed by Frank Hetherton, a Disney Imagineer, and one of the architects and master planners of this new resort, Marie Balmain, Director of Corporate Social Responsibility for Pierre & Vacances Center Parcs, and her associate Emilie Riess. Dave will present Village Nature at the Summer School in Sila the 6th of October. Save your place. Deadline for application: 29/09/2017. Guidelines here. Project outlines can be submitted for the 2018 selection procedure up to 12 October 2017. Guidelines here. Call for proposals: European incubation network(s) for creativity-driven innovation.The Call is targeting at two distinctive sectors FashionTech and Tourism. Deadline: 09 November 2017 here. The Winners will be unveiled on 27 September, World Tourism Day. They will be special guests at the GREENFEST – Global Green Destinations Event 2017, 28-30 Sept. in Cascais. Applications for the UNWTO Awards for Innovation in Tourism are open for organizations or businesses, fitting into one of the categories listed below, and that are currently undertaking a tourism-related project/initiative with an innovative and sustainable approach. Deadline for submitting applications is 30 September 2017. Contact details for the UNWTO Awards For Innovation in Tourism: awards@unwto.org. Deadline for submitting applications is 30 September 2017. Application is limited to signatories of the Private Sector Commitment to the Code of Ethics. Application for the UNWTO Ethics Award is coordinated by the UNWTO Ethics and Social Responsability Programme and all applications should be sent to ethics@unwto.org. Guidelines: All relevant documentation can be found at ethics.unwto.org. The application process is open. A mega event benefits a host destination in terms of attracting visitors to the event and drawing global attention to the destination. However, in addition to such short-term benefits, it can be a catalyst for longer-term tourism development in various aspects from economic to social. This UNWTO publication on Maximizing the Benefits of Mega Events for Tourism Development provides practical references on what a host destination can do to fully leverage the event opportunity for tourism development with a variety of illustrative cases. Although the report refers to insights from mega events, the practical references can be applied to any scale of events in any destination. The Summer School in Leadership and Governance for Sustainable Tourism is back for its 5th edition, hosted by Sila National Park , it will take place for the first time in a National Park at the heart of the Mediterranean Sea. Leadership and Governance for Sustainable Tourism is a 3 days High Level event, co-organized by the Foundation for European Sustainable Tourism (FEST) and the European Travel Commission (ETC) to address one of the most important themes in the tourism industry: how to plan and deliver transformative tourism projects and initiatives to generate a sustainable visitor economy. The 2017 Summer School aims to contribute to the 2017 as the International Year of Sustainable Tourism for Development focusing on “overtourism”. The Summer School is the PM4SD™ annual event, promoting it as the methodology to apply in tourism projects and to discuss the professionalization of project management in sustainable tourism and the need of leadership in tourism. Confirmed key note speakers from UNWTO, European Travel Commission, Global Sustainable Tourism Council, World Bank, The Travel Foundation, The Tourism Society Consultants, Caribbean Tourism Organization, the Edinburgh Fringe Festival and more. GREENFEST - Global Green Destinations Day Conference, 29 Sept, Cascais, Portugal. 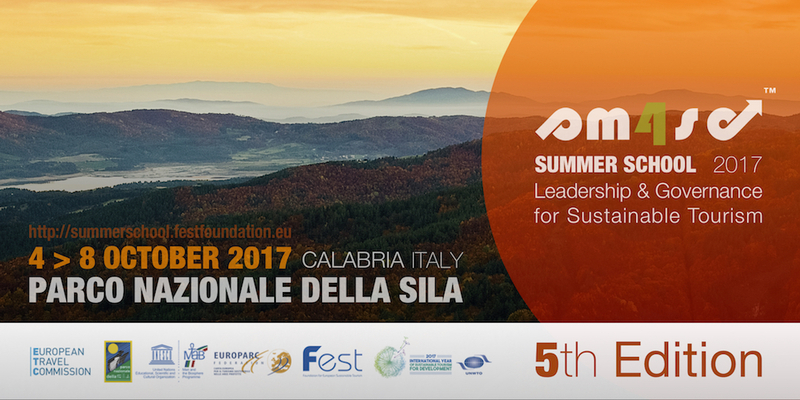 5th PM4SD Summer School: Leadership and Governance for Susatainable Tourism, 5-7 October 2017, Sila National Park, Italy. You are receiving this newsletter because you bought widgets from us. unsubscribe .